A funny rivalry has erupted between popular U.S. and Chinese comedy shows. The saga began recently when American TV comic Conan O’Brien, whose show is aired by the TBS network, discovered a Chinese show ripped off his opening credits, image by image. The Chinese offender was a Sohu (搜狐) produced internet TV show, Da Peng Yakking (大鹏嘚吧嘚), O’Brien was fast on the track, noticing this copycat act (山寨) and poking fun at Da Peng’s show. Because of the blatant copying by the “weird show,” as he called it, O’Brien decided to copy the strange style of the Chinese show, including imposing images and sound effects onto the screen. For example, Da Peng’s show had superimposed a half-naked picture of Zhang Chaoyang (张朝阳), the CEO of Sohu. To make fun of this, O’Brien superimposes a picture of a random shirtless Asian man. There are also sound effects and special effects that O’Brien copies. Da Peng picked up on what was going on and in his next show, stripped away the offending credits, acknowledged the humiliation of being found out, and apologized to O’Brien and his production team. Will this be the end of the issue or will the two hosts find ways to keep it going? Basketball player Jeremy Lin, or Lin Shuhao (林书豪) as he is known in Chinese speaking circles, has hit the mainstream in China. The Harvard grad has come out of seemingly nowhere to have an incredible run with the NBA’s New York Knicks. “Linsanity”, the term for the crazy following he has amassed, is reaching its peak. Chinese netziens are talking about his nationality, ancestral home, his education and the general media craze surrounding him. There are already some Chinese journalists who have discussed the possibility of Lin joining a Chinese basketball team. Even though the Chinese Basketball Association have said that they have never invited him, an American journalist revealed that if Lin hadn’t been so great on a few matches recently, he might have joined Yao Ming’s Shanghai Sharks. The biggest problem for Lin, if he want[ed] to join Chinese basketball is, sources who are in the know say… he would have to become a Chinese citizen. This, of course, complicates everything. In the media reports in China, not many of them will mention Lin’s parents as holding American passports, while at the same time holding Taiwan passports. And now, Taiwan has officially said that they can give Lin a Taiwan passport too. Also recently, officials in Zhejiang province have said that Lin’s ancestral home is Zhejiang, but his family has said that ancestral home is dictated on the father’s side, and his paternal grandfather was a through-and-through Taiwanese. Let’s keep watching the game, and learn something from Lin, whatever you do, don’t politicize it. Most of the commenters on the piece seem to have left only one word, either “American” or “Taiwanese.” The debate seems to have ranged to some who think he is the proud son of Zhejiang province, and those who even think he’s Korean. It seems to the non-sports fan, Lin’s nationality will be of intense interest. Also for the non-sports fan, Lin’s education at Harvard (哈佛大学) has impressed the education-centric Chinese. 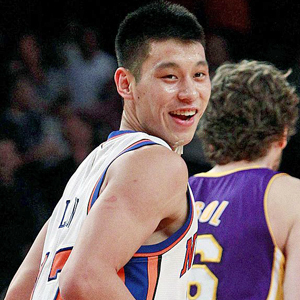 Suddenly realized how popular Jeremy Lin is, perhaps more than Yao Ming (姚明) at the time? However, Lin really is brilliant! 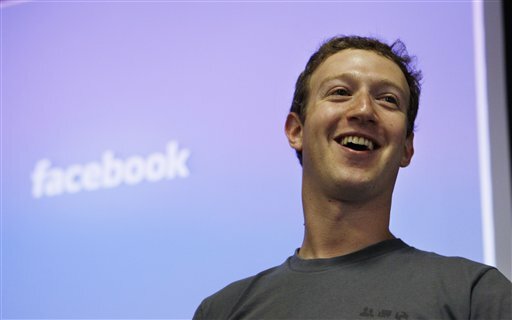 He is a Harvard graduate! When you search for “Valentine’s Day” on Twitter, you won’t find many new messages about the holiday. Or, at the very least, you will scarcely find people still celebrating it. However in China, the western holiday is big here and can stretch for a week after Valentine’s Day ends. The Valentine’s spirit is still going on in terms of commercial merchandise and people are still talking about their gifts on weibos and other online forums. On Sina microblog, SoStupidSoInnocent (好傻好天真ar菲愛執信) posted a photo of the Valentine’s Day postage stamps, which she is still willing to use. 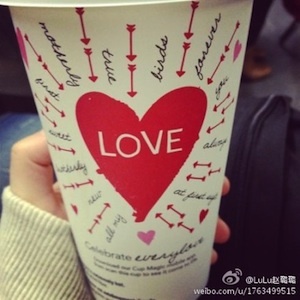 People are still getting Valentine’s gifts, such as Ya_ani, who posted a picture of a gift that she had just received. And Lulu posts a picture of a cup that she has been given to drink out of, a week after the holiday. On the streets in Beijing, people are still selling heart-shaped balloons. There seems to be a never-ending stream of items on sale, and on people’s lips, for Valentine’s. The Netease microblog (网易微博) calls itself “The microblog with an attitude.” This is very true of its latest topic: Drugs. The issue is being discussed a lot recently because the son of the famous actor Zhang Guoli (张国立) has been caught up in a marijuana scandal. The son, Zhang Mo (张默), is an actor himself. On January 31, microblogs exploded because of the news that he had been taken into custody for 13 days after being found smoking pot at home. Marijuana, along with substances such as heroin, cocaine, are lumped together and called “drugs” or “dupin” (毒品). Drugs have brought down other famous people in the past. Zhang Yuan (张元), the famous director of East Palace West Palace (东宫西宫), was arrested in 2008 for doing ketamine and ice. Netizens have been agog at the online flame wars between Han Han (韩寒) and Fang Zhouzi (方舟子), real name Fang Shimin (方是民), since the Spring Festival. Fang Zhouzi, known as a popular myth buster, once identified a former CEO, Tang Jun (唐俊), as holding a diploma from a fake university. He has also sometimes turned to left-wing organizations and people he thinks pander to western liberal notions. Just before Fang took on Han Han, he was trying to expose another internet cultural icon who is popular with the Chinese youth of today, Luo Yonghao (罗永浩) the founder of the popular blog forum Bullog (牛博), as faking his own merits. Han Han, who authored classic teenage rebel novels such as Triple Door (三重门), is also a prolific blogger whose Sina blog has consistently been in the top three in the country. Recently, Fang Zhouzi has persistently accused him of not being writer for his own work －through a series of preposterous claims. For example, Fang said a 16 year old writer cannot possibly cite works by writers like Turgenev, thus proving that Han did not write the novels. Fang Zhouzi thinks that Han Han’s father, Han Renjun (韩仁均), is the author of these novels. However, Han Han has recently attracted a lot of press for his side of the debate, and his supporters have rallied around him. Now Han Han says he is suing Fang for libel. In a recent interview on Phoenix TV that was uploaded and went viral, Han Han explained the reason he has sued Fang is for the moral good of writers as a whole: if anyone wanted to discredit a writer in the future, they would see the example of Fang Zhouzi. Han Han also brought up the ridiculousness of the accusations. 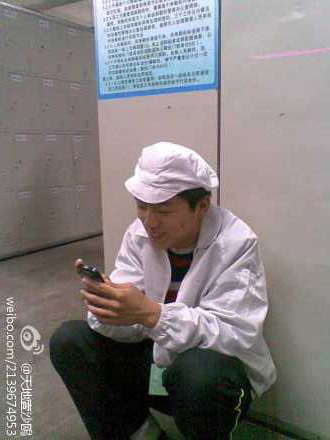 His father, Han Renjun had posted onto his Sina microblog account letters Han Han write to him when was in high school. They were lists for book buying, proving that Han was a reader. Instead of taking this as evidence, Fang Zhouzi seized on the signatures of the letters: one letter was signed “from your son Han Han” whereas the other simply said “from your son Han.” Fang said it couldn’t have been written by Han Han as people keep their signature consistent! Even though real-name ID registering on Sina microblog hasn’t been made official yet, and there are few signs of implementation, real name ID is a change that is gaining attention. Sina’s real name system is directed at the domestic market, if you were registering for Sina microblog outside of the country, you don’t need to input your real name. Is this the superiority of socialism? According to Beijing’s regulations, Sina microblog must use the real name system (this is related to the backstage), but right now Sina microblog already gives a group of people a “V” [for verifcation], what use is a real name system then? When I hear of this I want to cuss! You can do whatever you want, no-one can stop you, but if you say that the real name system for the internet is “the wishes of the masses” please then give me your evidence! Perhaps it was put best by Pu Zhiqiang (浦志强), the lawyer. If you are a new user of Sina microblog, you are expected to input your ID card number when you register, as well as your real name. But it is not yet known how efficient the system will be. Sohu and Tencent have not announced a real name policy yet, but are likely to in the near future. What do you think of the real name policy for Chinese weibos? Let us know in the comments. The Spring Festival (春节) is very near －this year New Year’s eve (除夕) falls on January 22. Many netizens, like the rest of the nation, are traveling back for the holidays. At this time, not only do the country’s offices and shops shut down, but migrant workers and ordinary people working in the cities are scrambling for tickets to go back to their hometowns. But when a country as large as China decides to go on the move, things as simple as buying a train ticket can become an unhappy adventure. Unlike pervious years, this year netizens can use their savviness on the Internet to book their tickets. I tracked down one user to explain the details. Netizens are using websites like www.12306.cn to book their tickets online. Peng Xin, who works at Sogou.com, is traveling to Henan (河南) and took me through the process of ordering tickets. However, its not always quite as easy as it seems and I asked about the challenge of buying tickets this way. We’re just guessing that he might have had still tears in his eyes after that. Here are some of websites that provide online travel services in China. However, the Ministry of Railways has only approved 12306.cn and the telephone service 95105105. This could be why it’s so hard to get a ticket, because everyone is going on the same site. If you’re traveling for the Spring Festival, let us know how you’re getting there and if you’re using any new technology to make the journey easier. This month, the Taiwanese-owned manufacturing factory Foxconn (富士康) was in the news again. At one of the company’s factories in Wuhan, more than 100 workers amassed on the roof and threatened suicide to protest poor working conditions. 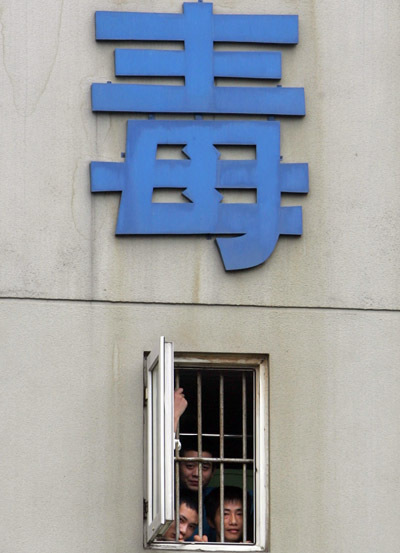 The corporation, responsible for manufacturing popular products such as the Apple (苹果) iPhone and the Amazon Kindle, saw a number of suicides in 2010 and has been criticized for the working conditions in some of its factories. It’s said that in Vietnam there are 10 times as many Shenzhen Foxconn factories. Three years ago the foreign-invested manufacturing companies started to move their factories out of China, this will climax in 2012. They will take away their equipment and order forms, leaving polluted water and air behind them, as well as a bunch of workers who don’t have the knowledge or the technology, but whose wages have raised to 3,000RMB. Looks like Chinese enterprises will have to take over. … Foxconn is a platform for manufacturing, it’s not as simple as contract manufacturing. There are some ordinary products, if unaffected by intelletual copyright, then the products at Foxconn can rank number three on the market if it were sold. This is the seventh day working for Foxconn: stood all day again today, I reckon I’ll be standing every day from now on. I’ll be very tired. I talk with my work colleague next to me to get through the day. I got to know someone who’s from the same place as me, we can probably take the train home together for Chinese New Year. In the past, high end electronics such as the products produced by Foxconn were almost exclusively made for sale in the U.S., Japan and other wealthy nations. But now, many of the products being assembled in China are increasingly being sold in China. As an example, the Apple 4s just debuted on the mainland and caused scuffles in its flagship store in Beijing. There are even rumors that the iPad3 will be on sale in China soon, straight from the factory line. 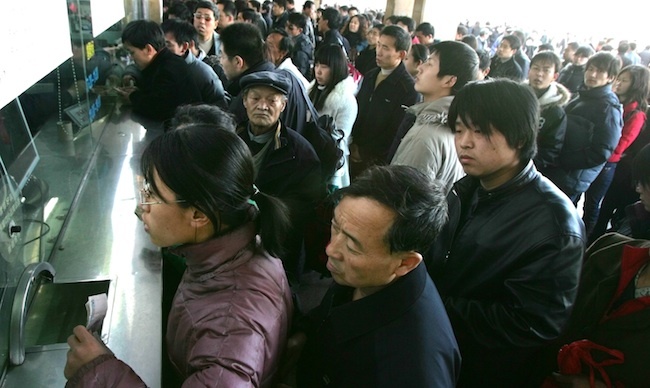 As Chinese people buy more and more of the items they make, will working conditions change?